← Paper books or e-books? A thriller from start to finish, this is one book I had a hard time putting down. 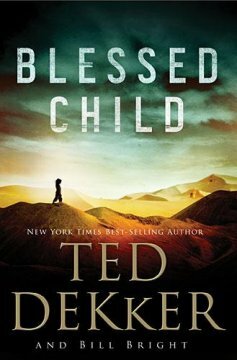 I’ve read Ted Dekker before and so I knew his writing was strong and gripping – I wasn’t disappointed. What WAS surprising, was the strong evangelistic emphasis in this novel. Maybe that is the influence of Bill Bright. Although the story follows the boy Caleb’s miraculous ability to heal, the message is not that healing of the body is the most important, but the greatest healing is that of the soul. This was strongly emphasized in the second half of the book. And in the end it was made very clear that there is only one way to the Father and that is through Jesus Christ. At times the spiritual experiences described in this book seem ‘over the top’ but as Bill Bright comments in a note at the end of the book, these miracles are no less spectacular than those found throughout the Scripture. We are normally so closed to the spiritual world that we don’t see it as real. I finished this book encouraged in faith and longing for a closer relationship to Christ. That’s more than most novels are able to accomplish.